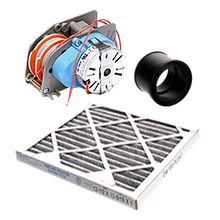 A must in any commercial kitchen, commercial ventilation systems remove heat and vapors from the air during cooking. Commercial ventilations systems are custom designed for your foodservice operation taking into account the type of food service operation, menu, the equipment used and the volume of output. 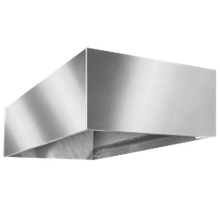 Available in a large variety of widths and depths, choose from island type, oven mount and wall type commercial ventilation systems with either compensating or non-compensating make up air.